After a rally ended just short of a record high, we explain why and whether there is cause for concern. In the increasingly crowded list of high-yielding FTSE 100 stocks, Legal & General (LSE:LGEN) and its consistent record of dividend growth stands out for many income-seeking investors. Today's annual results were no different, with the pay-out increasing in line with consensus expectations by another 7% to 16.42p. This follows a year in which L&G overcame political and market uncertainty to grow operating profits by 10% to £1.9 billion. In keeping with eight years of compound annual profit growth of over 10%, L&G has now almost doubled its annual dividend since it paid 9.30p in 2013. The two-year forecast dividend yield is just above 6%, although at a time when payouts for FTSE 100 investors have never looked better, this is overshadowed by a clutch of housebuilders or rivals including Aviva (LSE:AV.). Shares have rallied impressively since the turmoil at the end of 2018, with the stock up by more than 20% prior to a bout of results-day profit taking today. 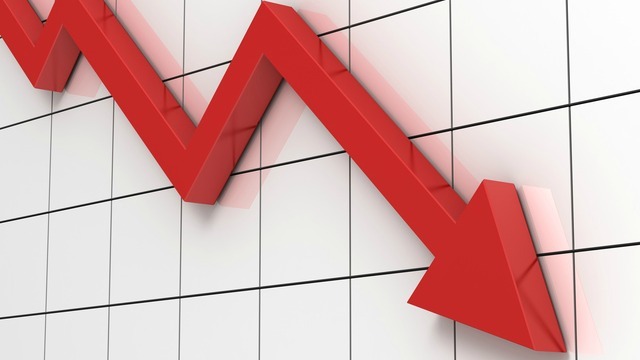 The sell-off also reflected some pockets of concern over the L&G performance in 2018, which has been built around record sales of annuities. The company executed £9 billion of pension risk transfer deals in the year, with the undoubted highlight being the £4.4 billion transaction with the British Airways Pension Scheme. This was the UK's largest bulk annuity deal, helping L&G to establish its place as leader in the market. But as annuities are capital intensive, analysts at Barclays have reportedly questioned whether the company can fund its anticipated £20 billion annuity pipeline and still support dividend growth. In addition, analysts at UBS note that net cash from continued operations missed consensus by 13% due to higher new business strain. They are sellers of the stock, with a price target of 225p. Today's share price performance chimes with UBS's earlier prediction that L&G will typically perform well going into results, only to be followed by a period of negative trading irrespective of whether sentiment is positive or negative on the earnings call. Return on equity, which jumped last year to 25.6% from 18.8% a year earlier, was reported at 22.7% today. Earnings per share growth was 7% at 24.74p. As well as the strong growth in bulk annuities, L&G has benefited from a continued recovery in the individual annuity market following changes to UK retail pensions regulation in 2014. It has increased its market share to 19%, compared with 14% in 2017, thanks to product innovation and significantly strengthening its enhanced annuity offering. Other areas of progress include becoming the UK's first trillion pound investment manager after assets under management increased 3% in 2018. It added that its balance sheet remained strong with £6.9 billion in surplus regulatory capital and significant buffers to absorb a market downturn. It said that even a repeat of the 2001/2002 recession, which experienced more defaults than the 2008/2009 financial crisis, would result in a robust solvency ratio that continues to support its strategy. "While no business model can be fully immune to market volatility, our operating model is resilient as well as being underpinned by robust risk management practices." The company's businesses are predominantly UK based, but it's also growing rapidly in the US with less mature international businesses in Europe, the Gulf and Asia. It has positioned itself to benefit from six long-term growth drivers. These include ageing demographics, the impact of welfare state reforms and the globalisation of asset markets.